Radon levels fluctuate constantly so it is preferable to carry out a test over several months in order to obtain an average reading. In certain situations this may be impractical, for example during the process of buying a property. In these instances, a short-term screening test can be carried out to provide an indication as to whether high radon concentrations are likely to be a problem. This kit is ideal for use in most average-sized homes. Simply place one detector in a living room and one in a bedroom to ensure that the locations with highest occupancy are tested. 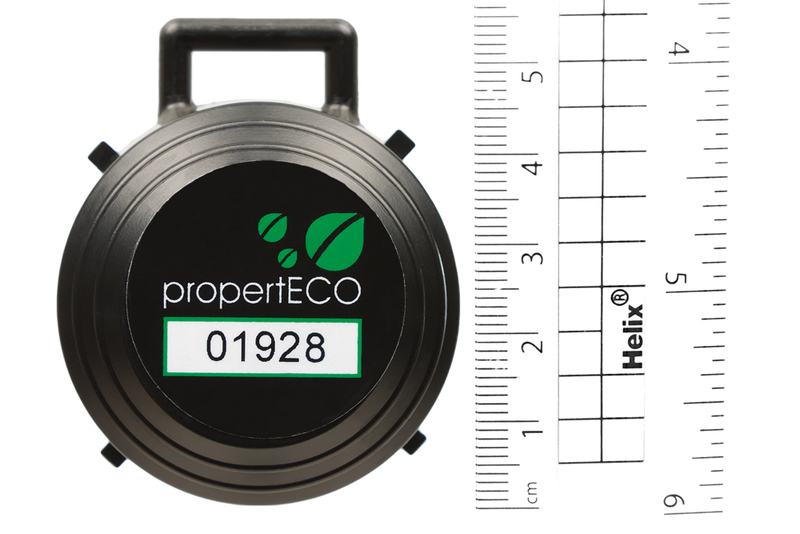 If your property is very large, has been extended or has a basement, you may require additional detectors so that further areas can be tested. These can be found here. Please note short term screening tests are not suitable for use in workplaces to obtain a valid risk assessment. 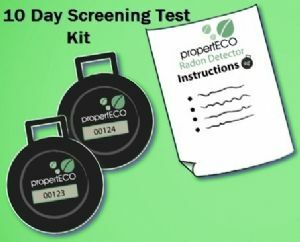 Our radon detectors are analysed at an independent, third-party laboratory that is validated by Public Health England. 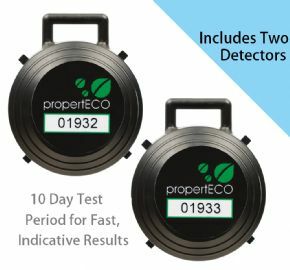 Results reports are emailed within 10 working days of receipt of detectors, but can often be available sooner than this. Please note that return postage is not included. Detectors have a limited shelf life and should not be stored for long periods before being used; this may invalidate the test and prevent us from issuing a results report. Please begin the test as soon as possible after receiving your order. Delivery times & prices depend upon the items ordered. Your shopping cart will be updated when items are added. Standard Delivery is via Royal Mail 1st Class post and costs from £2.40. Items ordered before 2pm are normally dispatched the same day, for delivery 1-3 working days later. Insured Delivery is compulsory on all orders over £150.00 and costs from £9.00 for Royal Mail Special Delivery. Items ordered before 2pm are normally dispatched the same day for delivery the next working day before 1pm. A signature will be required. Please note that Special Delivery items will not be delivered on a Saturday. Delivery times given are esitmates based upon Royal Mail guidance. In the unlikely event that you have not received your order within 7 days, please contact us. Our online ordering facility is currently only available to customers within the UK. If you are outside the UK and wish to place an order, please contact us so that we can send a quotation including overseas delivery fees.